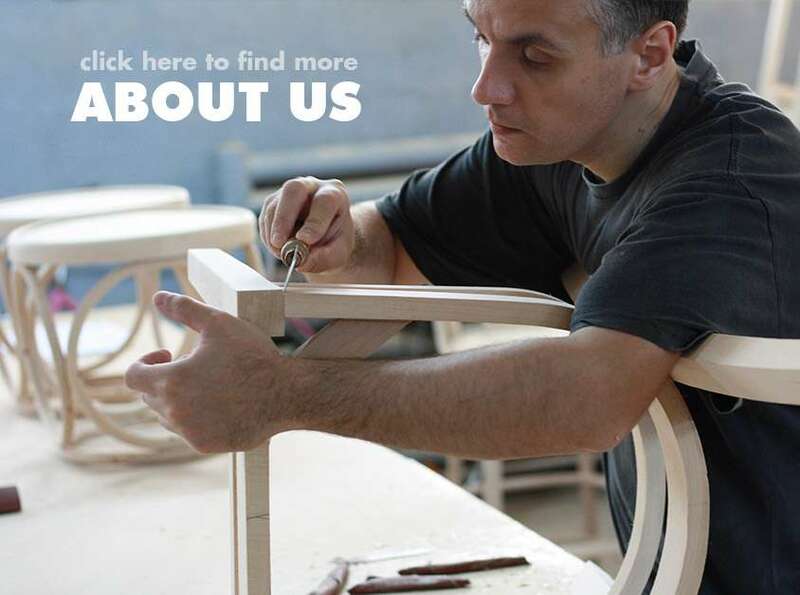 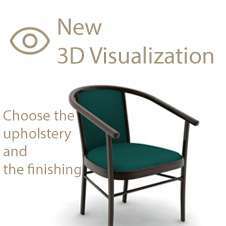 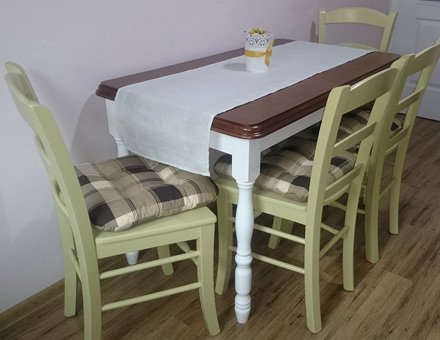 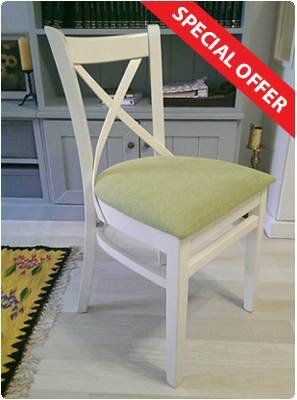 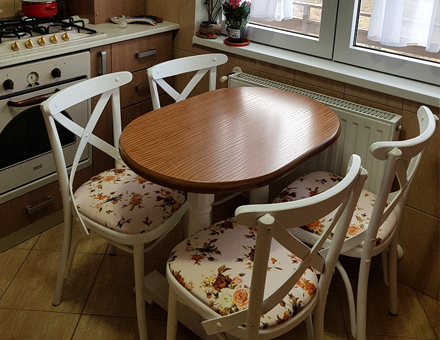 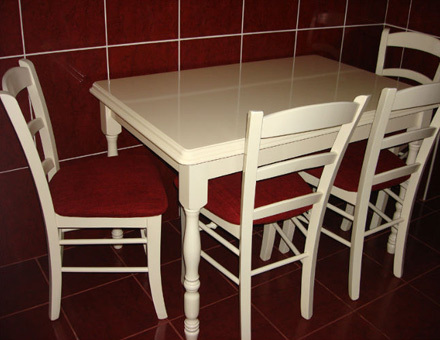 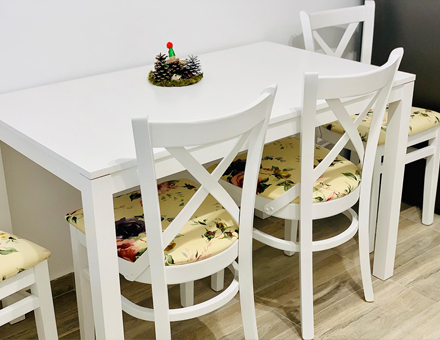 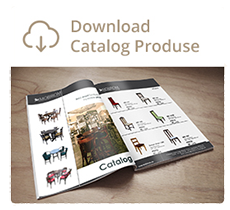 Traditional romanian chair and table maker. 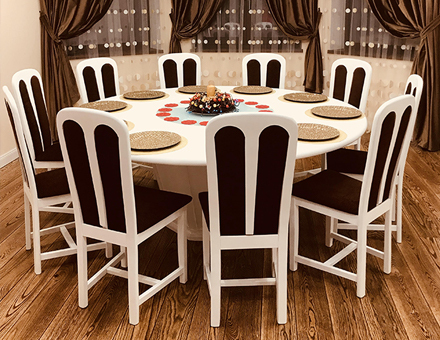 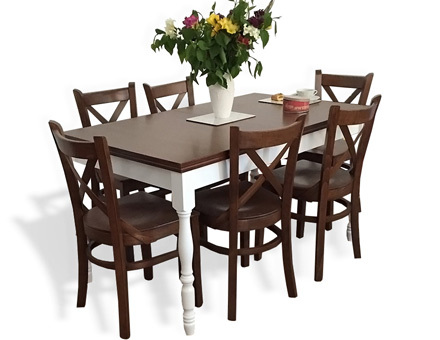 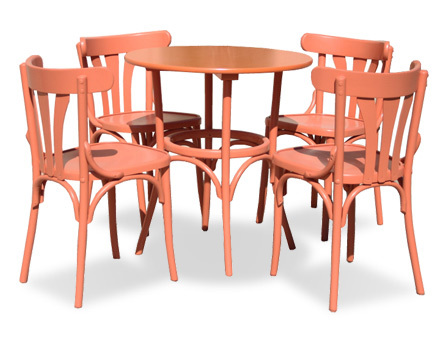 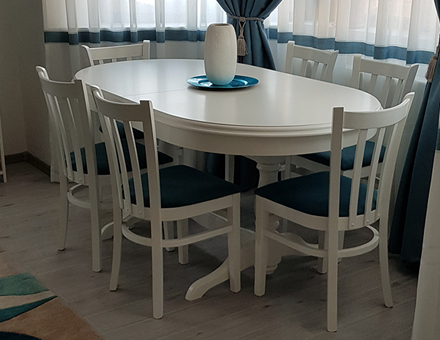 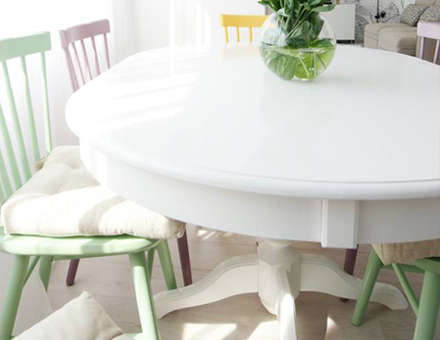 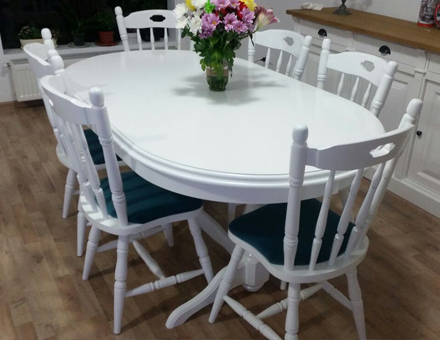 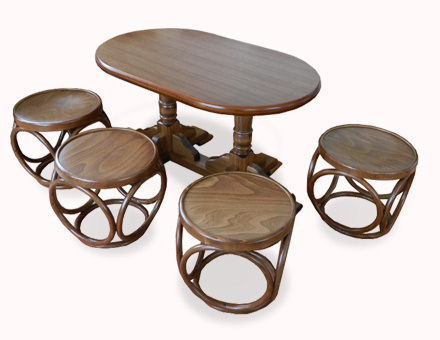 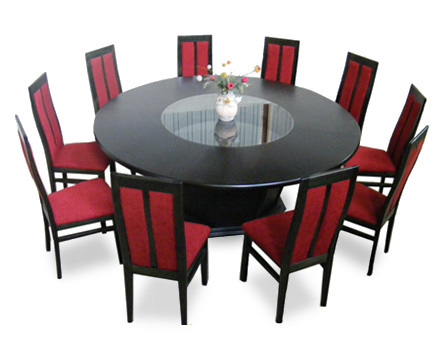 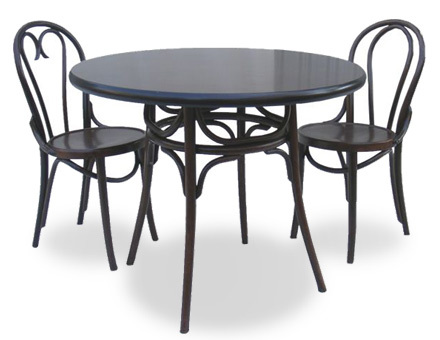 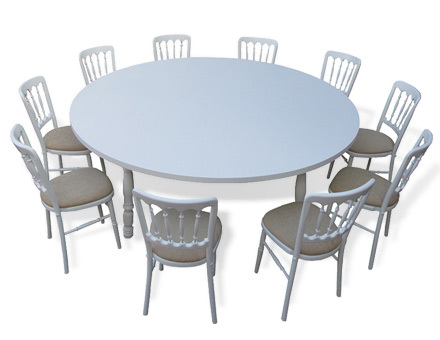 Round Roxana table with MD470 chairs. 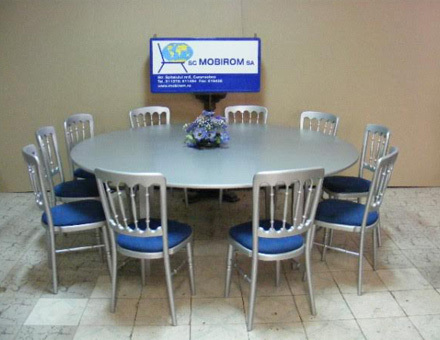 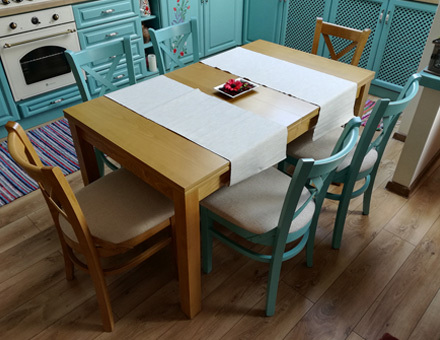 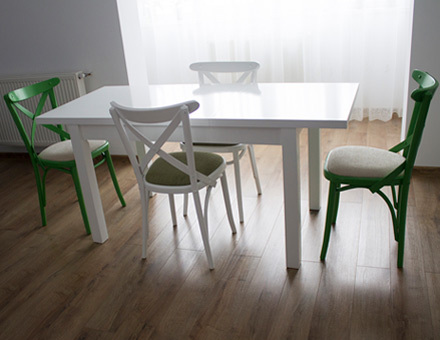 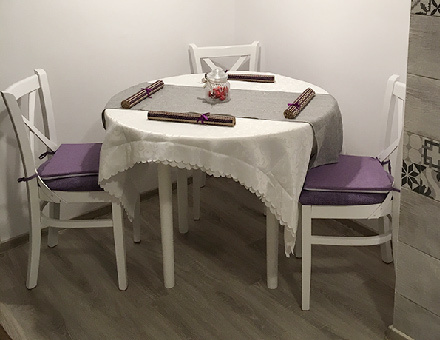 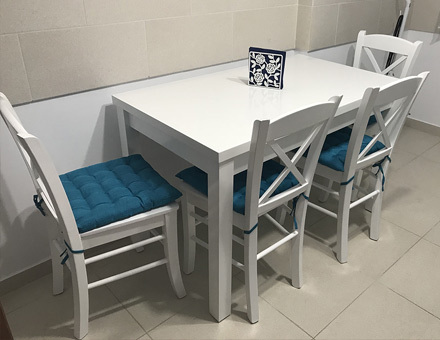 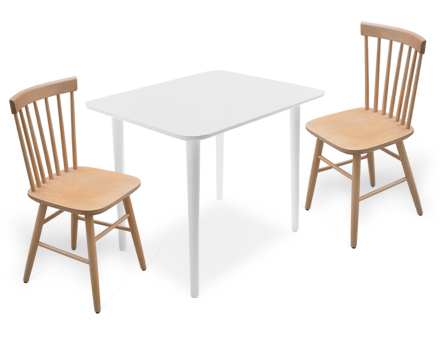 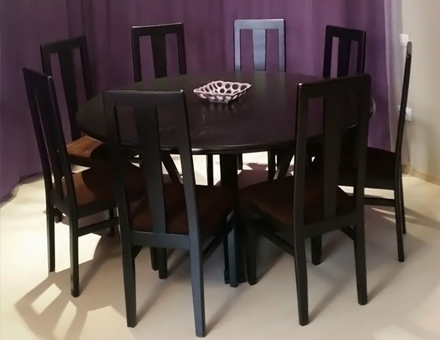 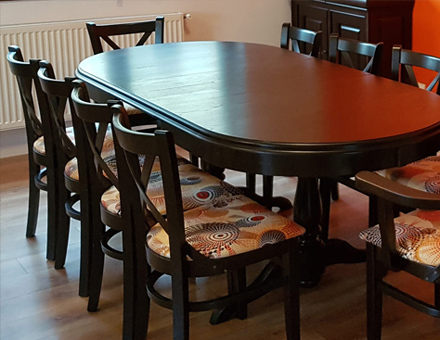 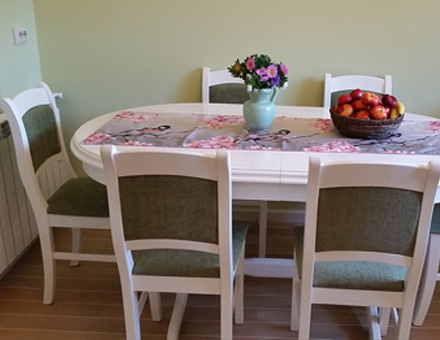 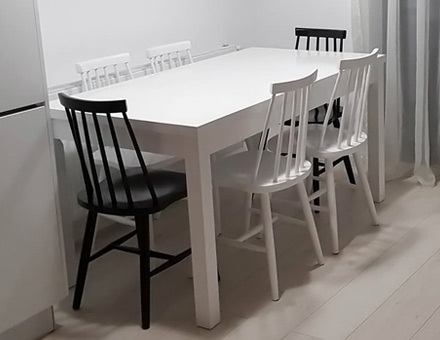 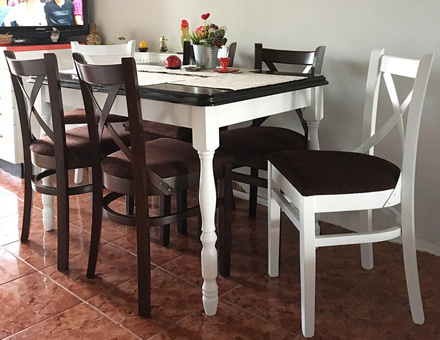 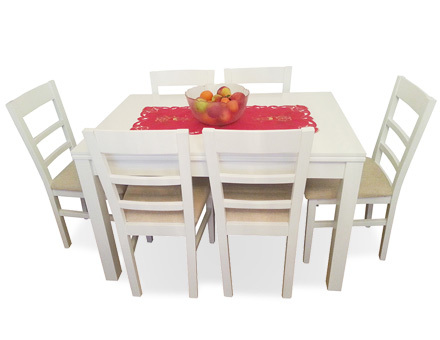 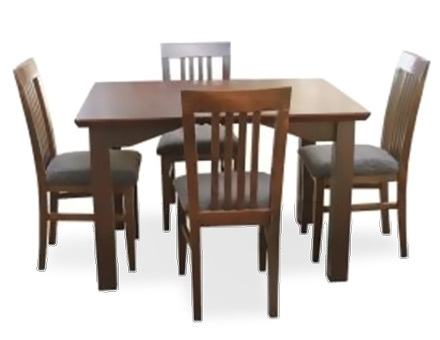 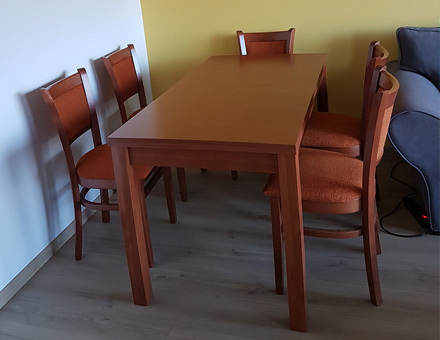 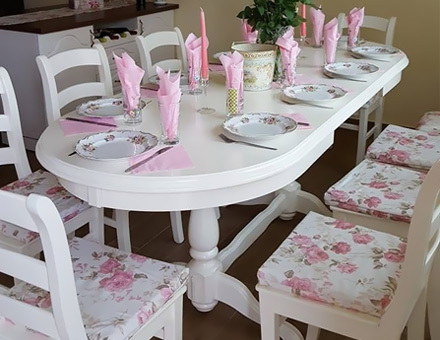 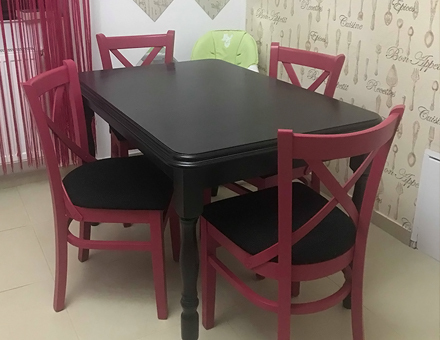 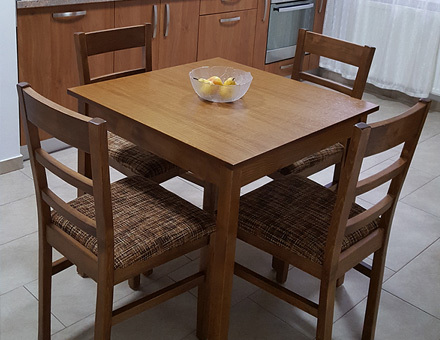 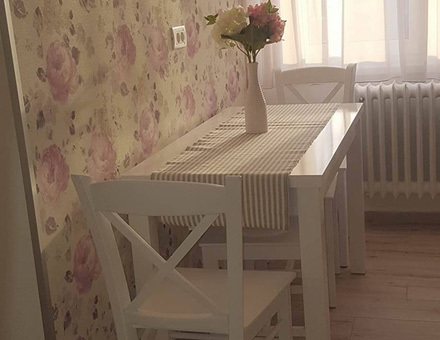 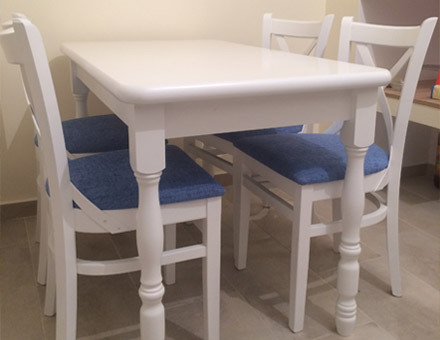 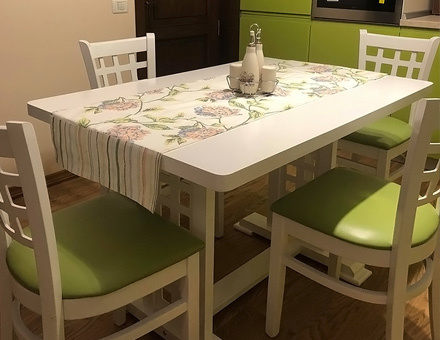 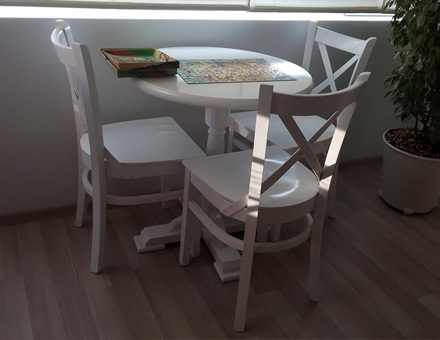 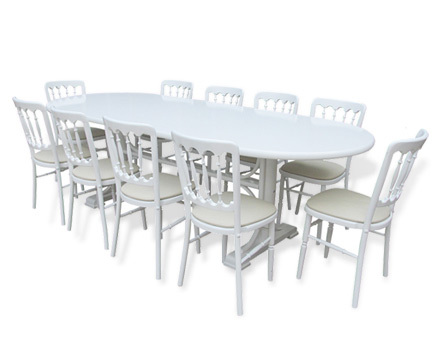 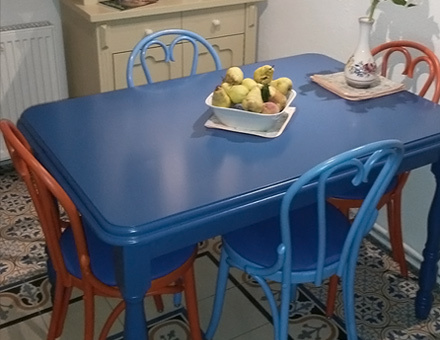 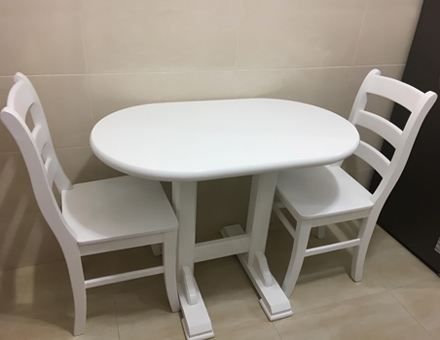 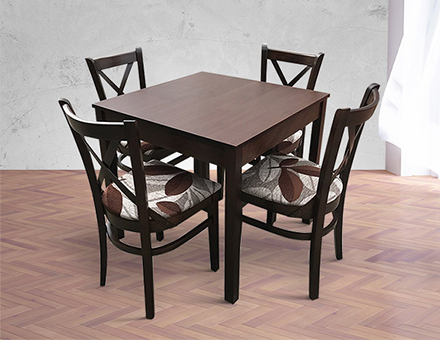 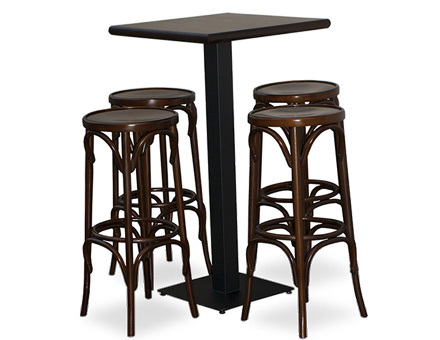 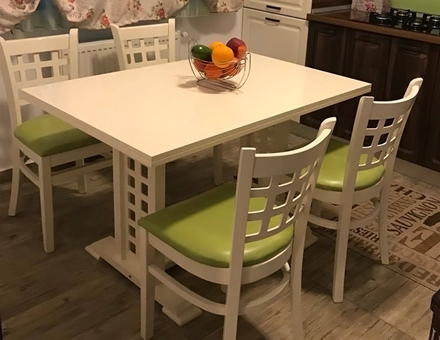 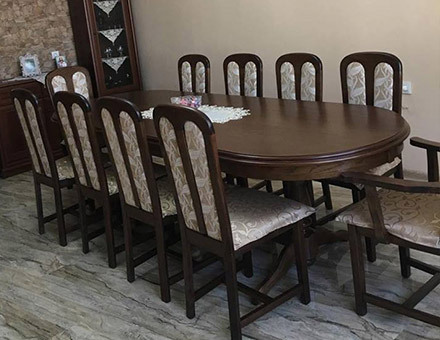 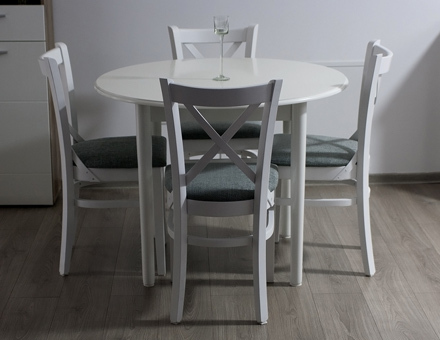 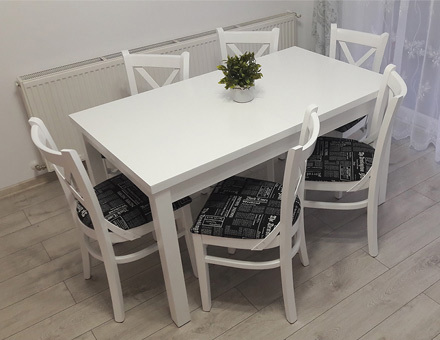 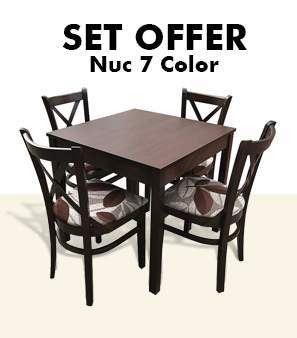 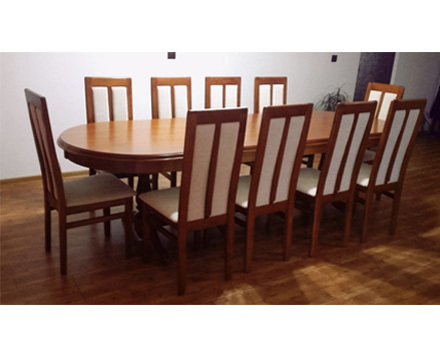 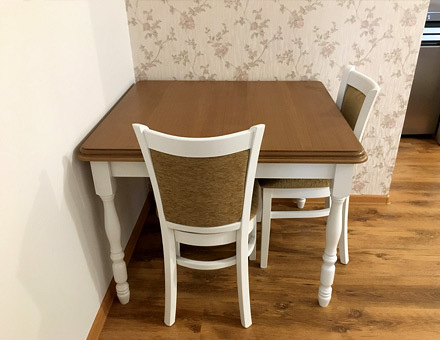 Extendable Ghera table with MD470 chairs. 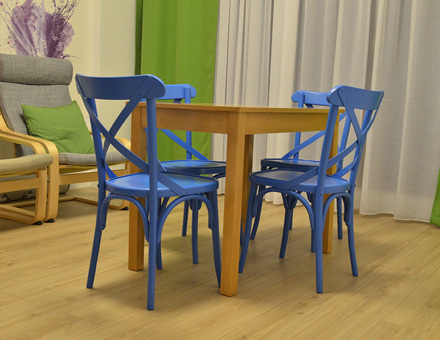 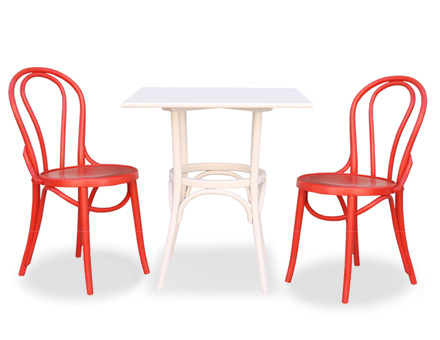 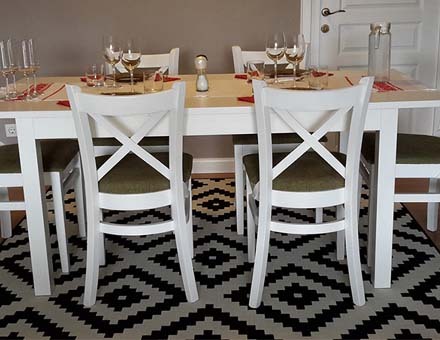 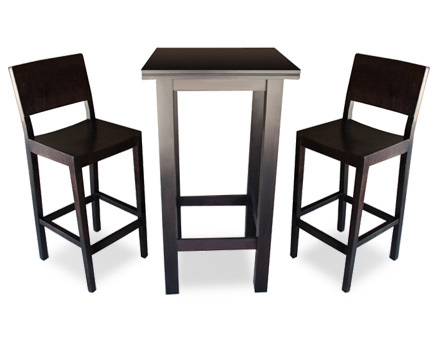 Europa table with MD170 chairs. 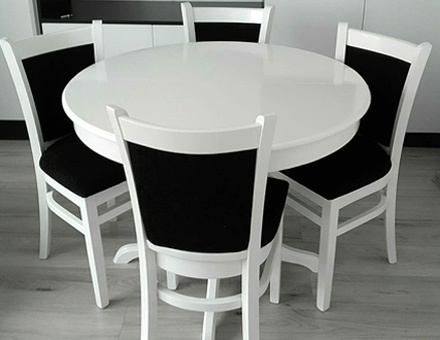 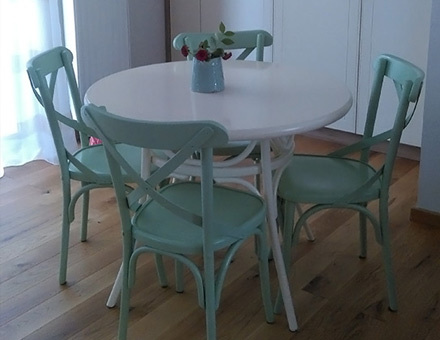 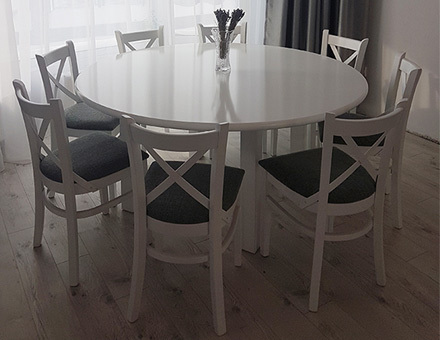 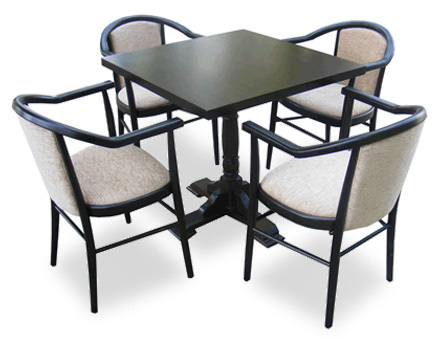 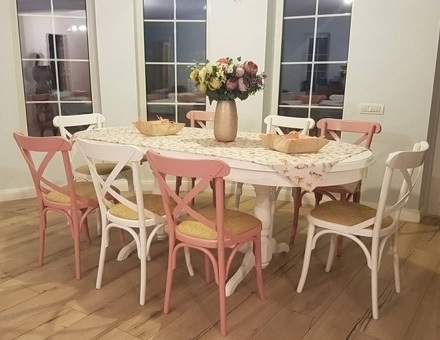 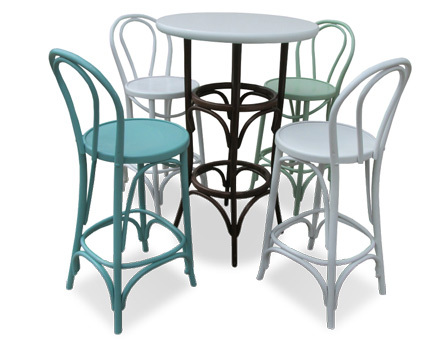 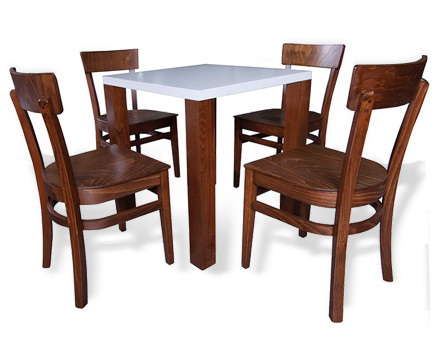 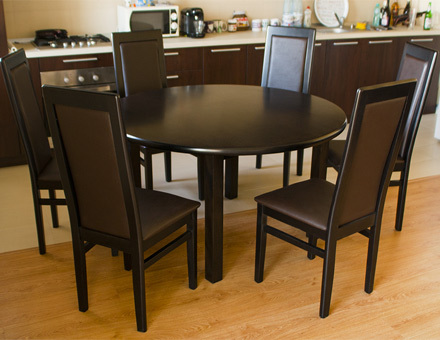 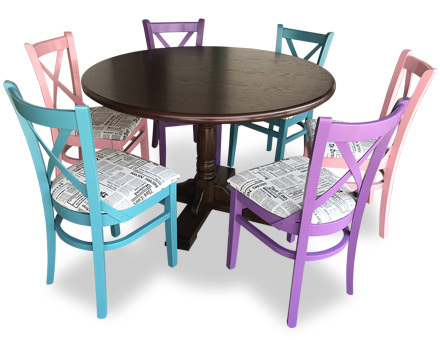 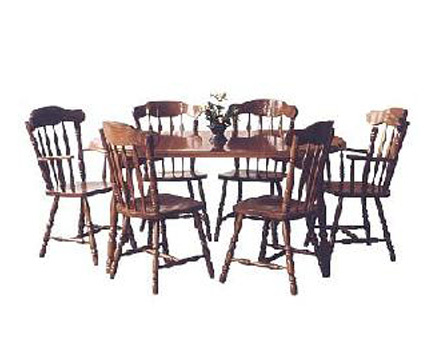 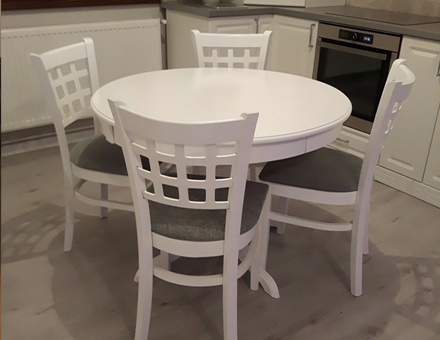 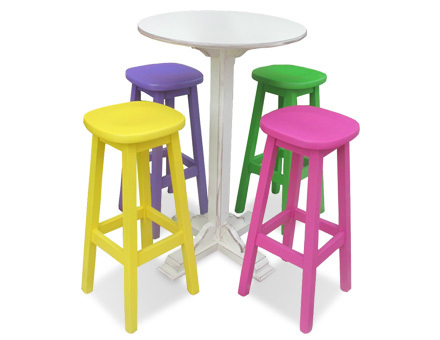 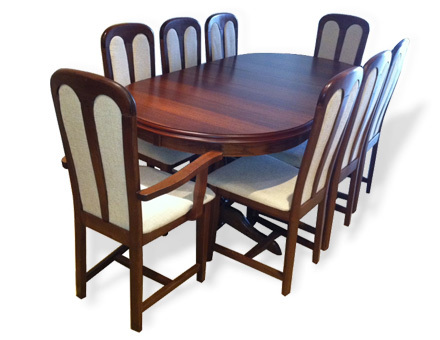 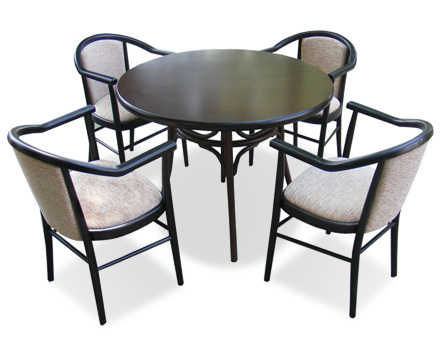 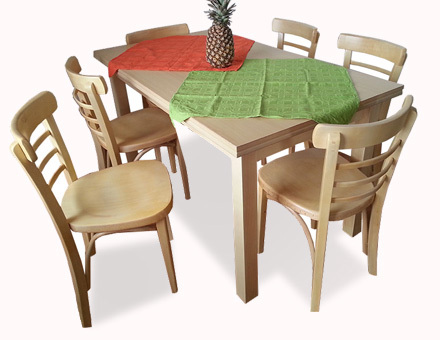 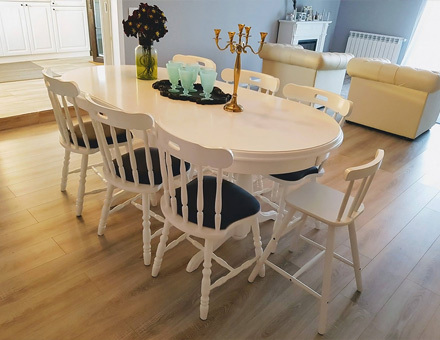 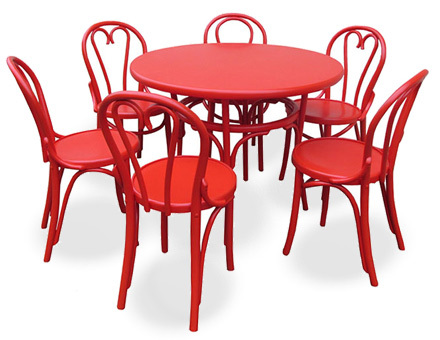 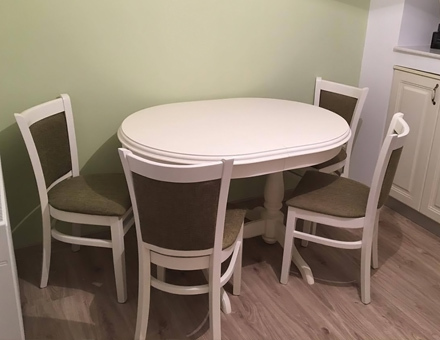 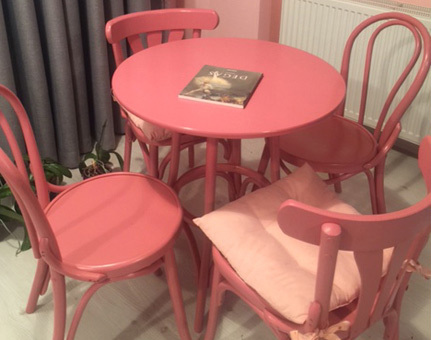 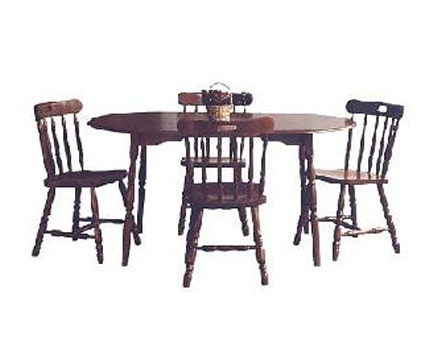 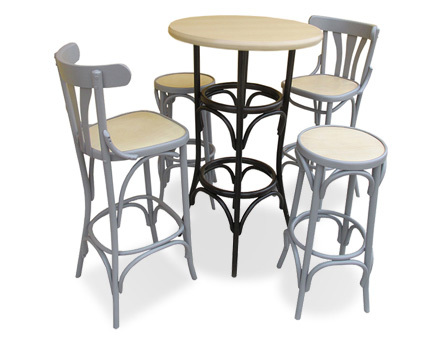 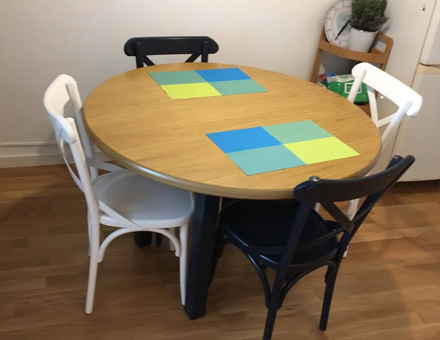 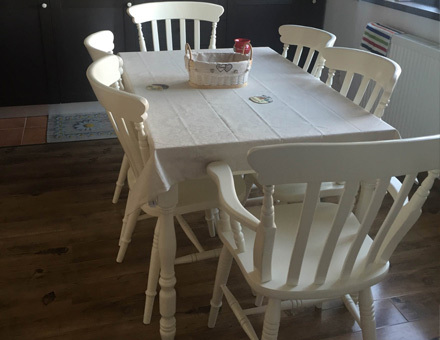 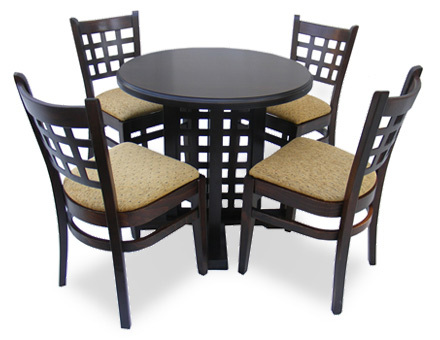 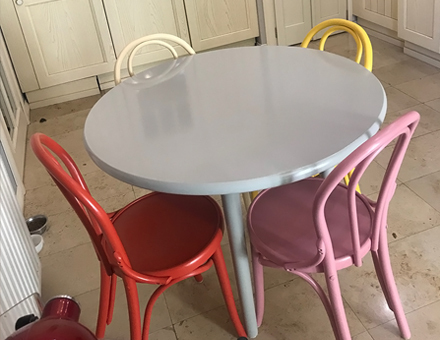 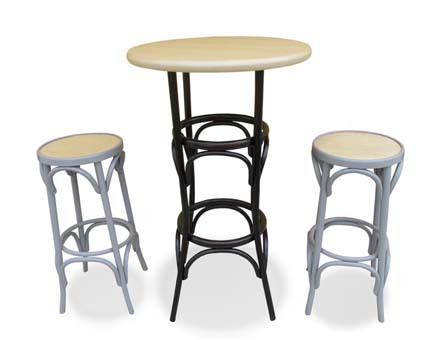 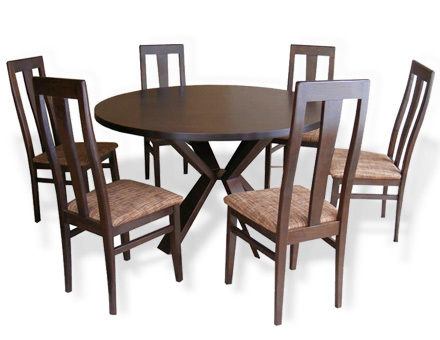 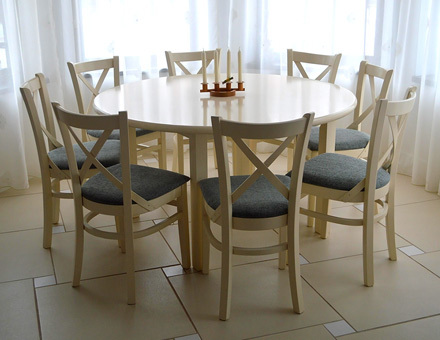 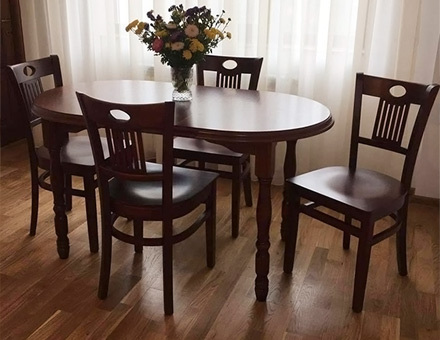 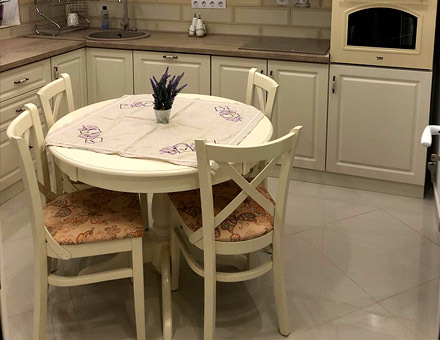 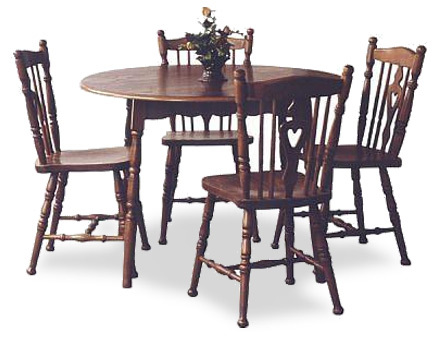 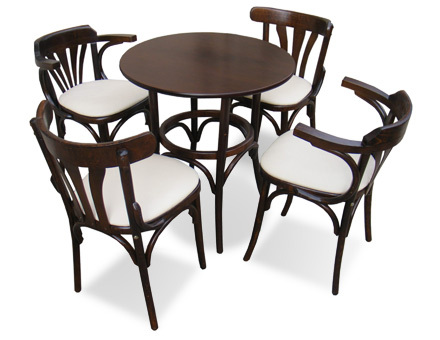 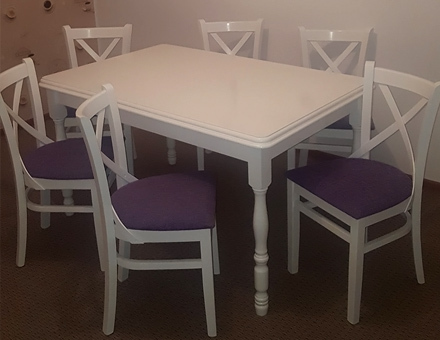 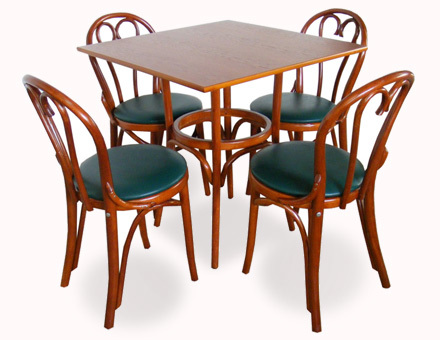 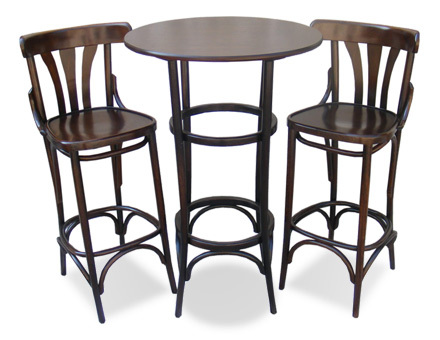 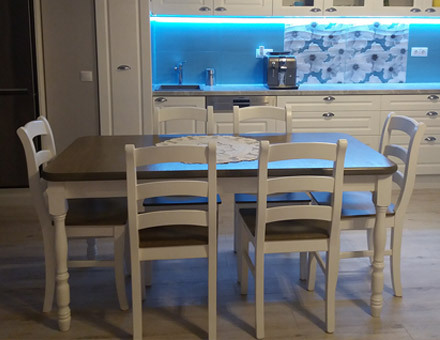 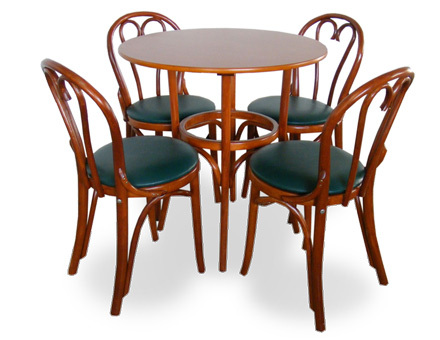 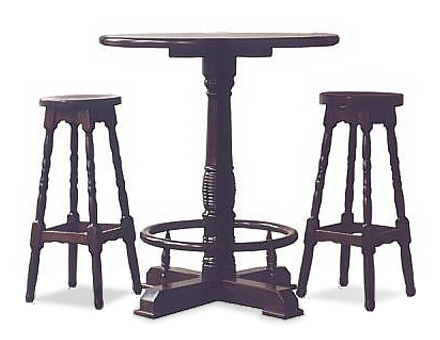 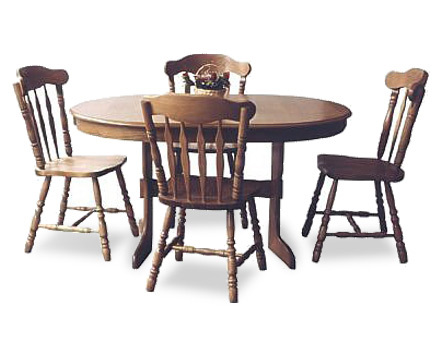 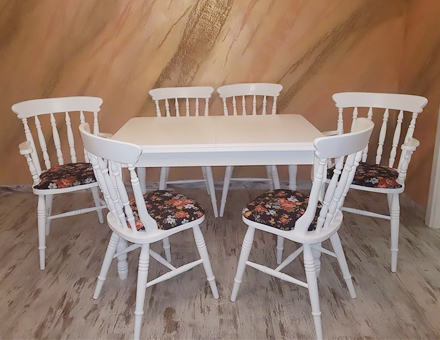 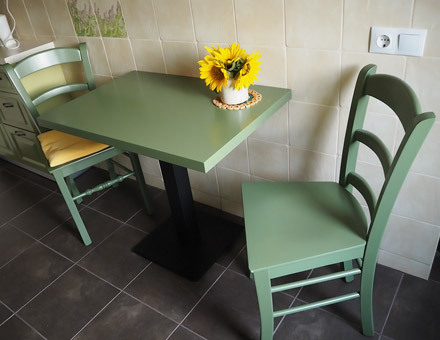 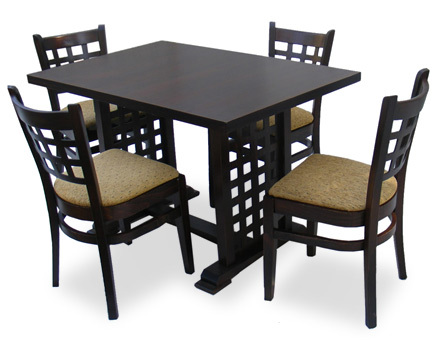 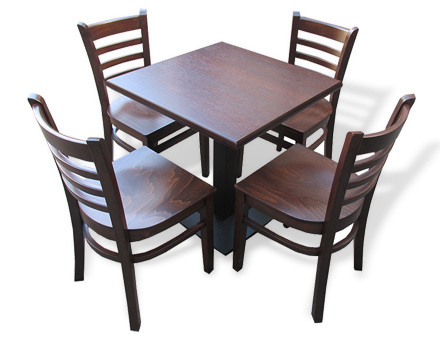 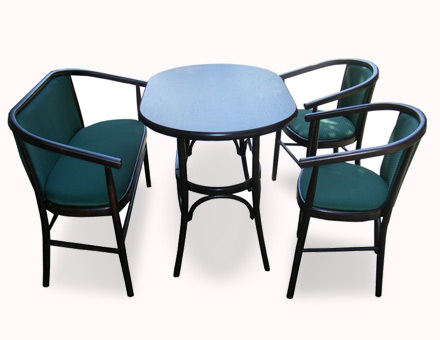 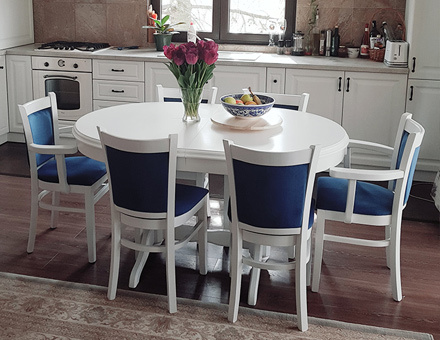 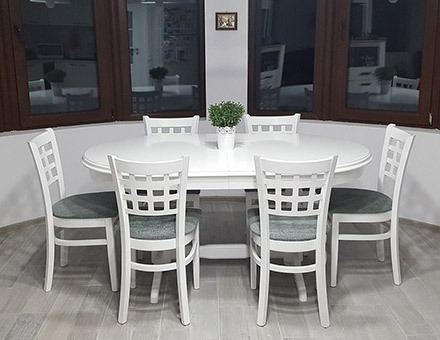 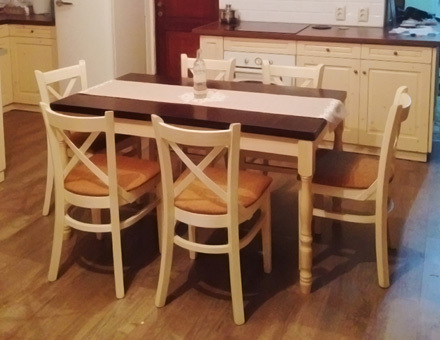 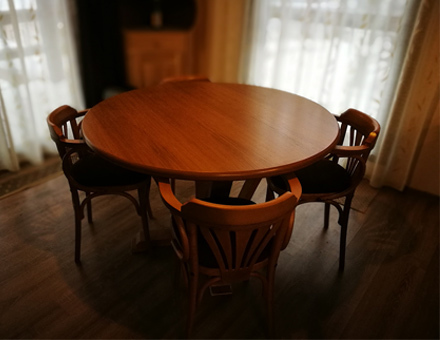 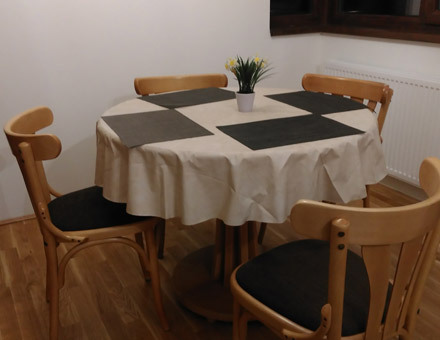 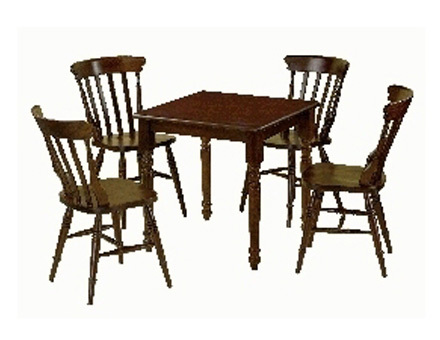 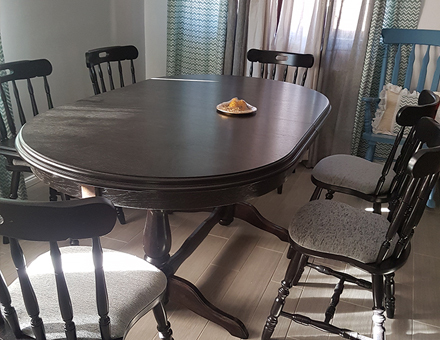 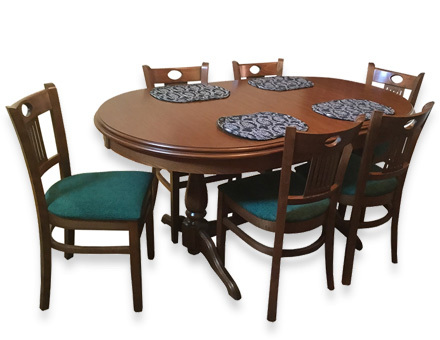 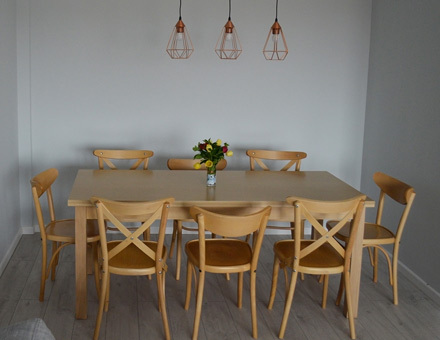 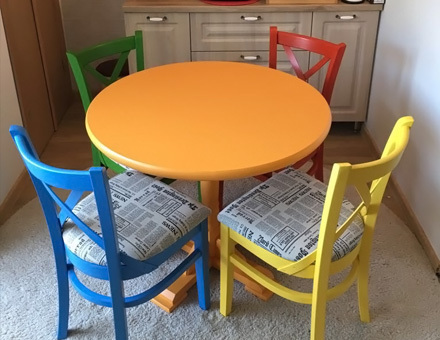 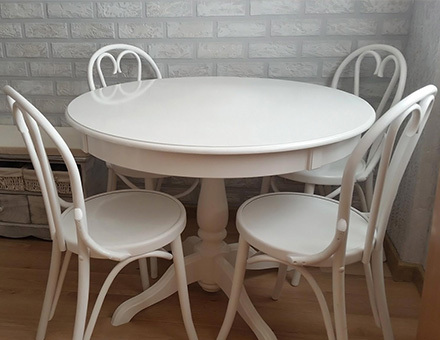 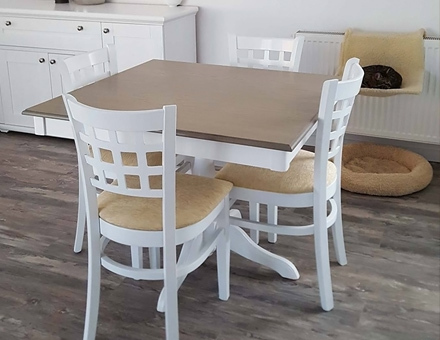 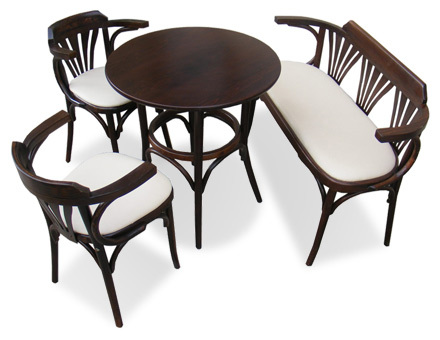 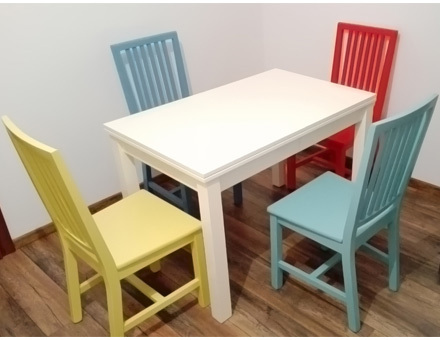 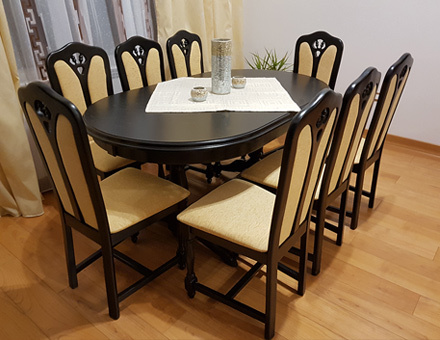 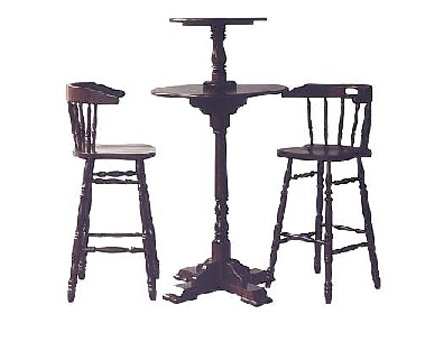 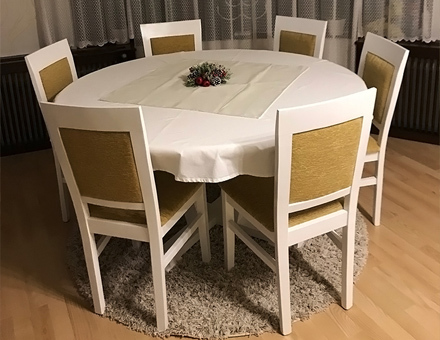 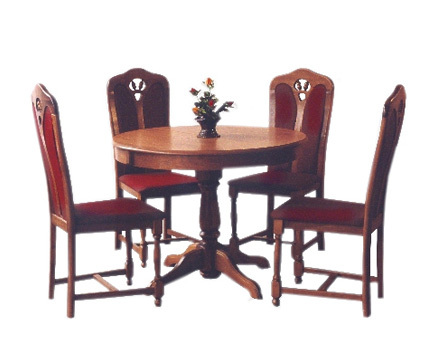 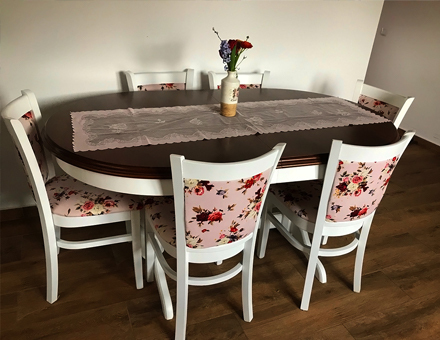 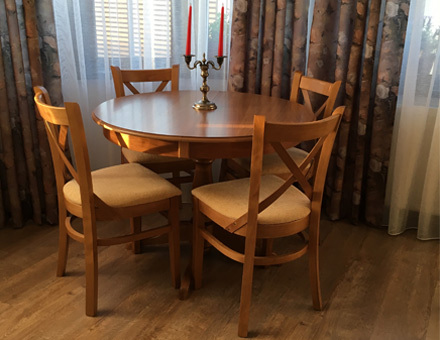 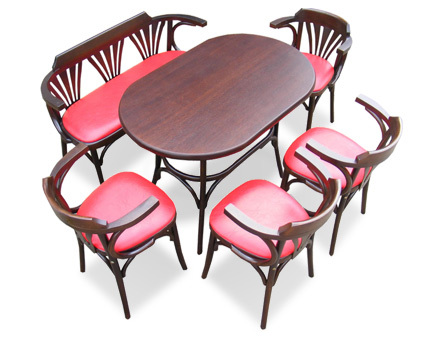 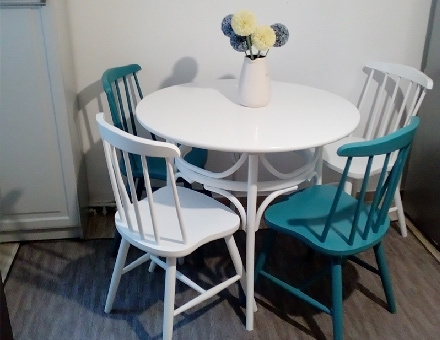 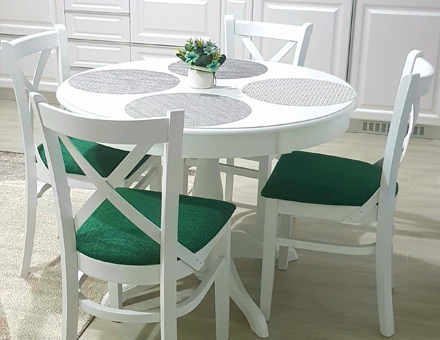 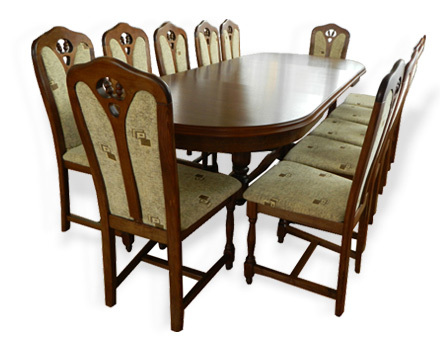 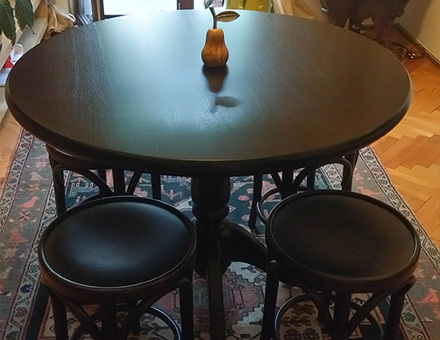 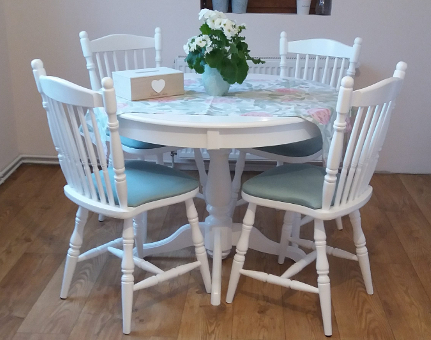 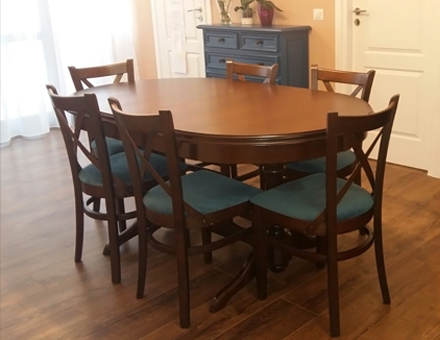 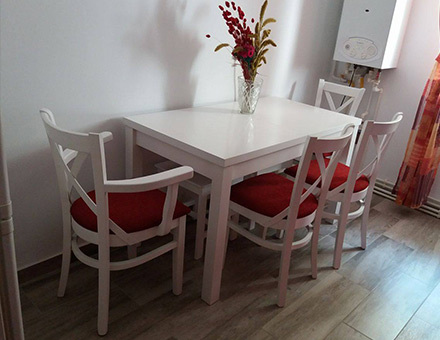 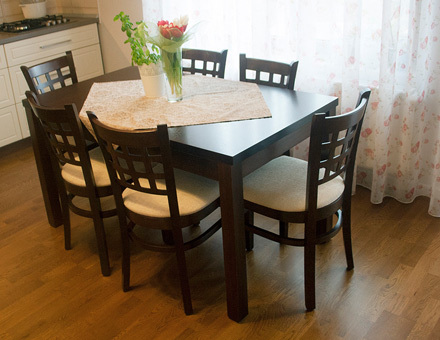 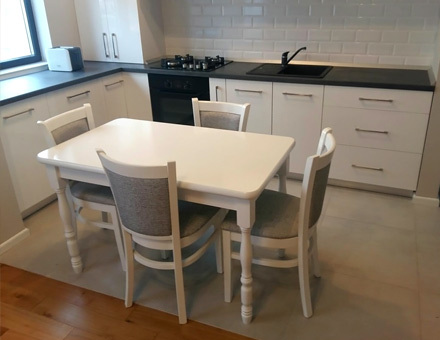 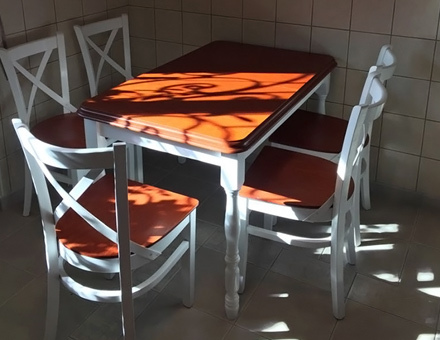 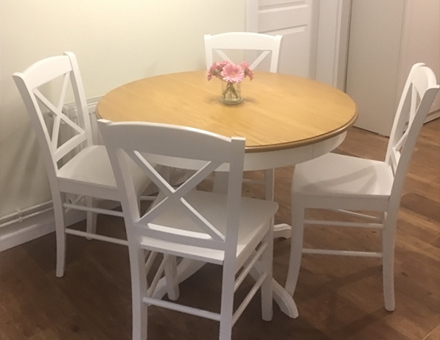 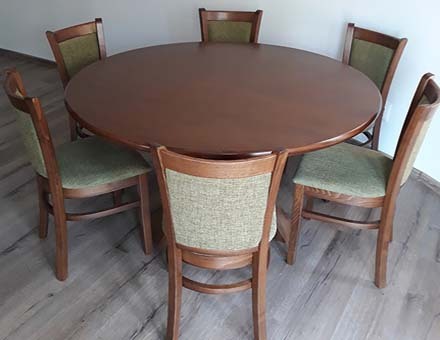 Round table with four Bistro chairs.